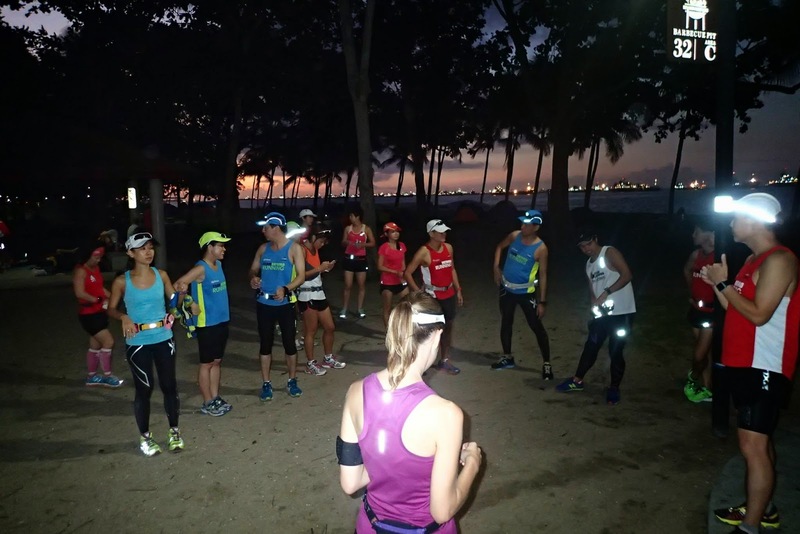 The majority of Kookaburras were back to the final phase of GCAM training after their previous weekend at the Sundown Marathon. 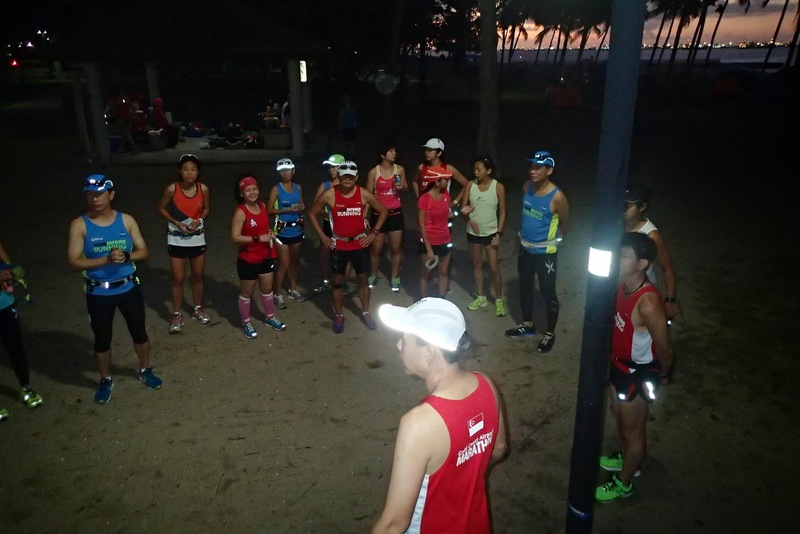 Since most of the trainees already did their 42km at the race, they were to do a shorter version of the training run, although at a new Enhanced Pace that was meant to be faster. Because of the on goings of a few local races that morning, with some of the runners still 'recovering' from the Sundown Marathon (which would now serve as their longest training run), the turnout was less than normal but still saw a fair share of the regulars turning up for their LSD fix. 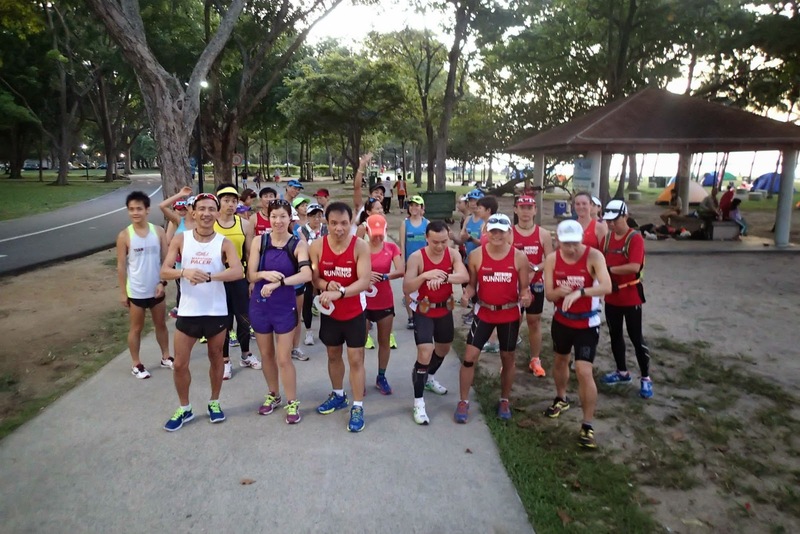 After a quick briefing and division into the respective pace groupings, the runners ran off towards Fort Road together to cover the first 21km @ enhanced pace. 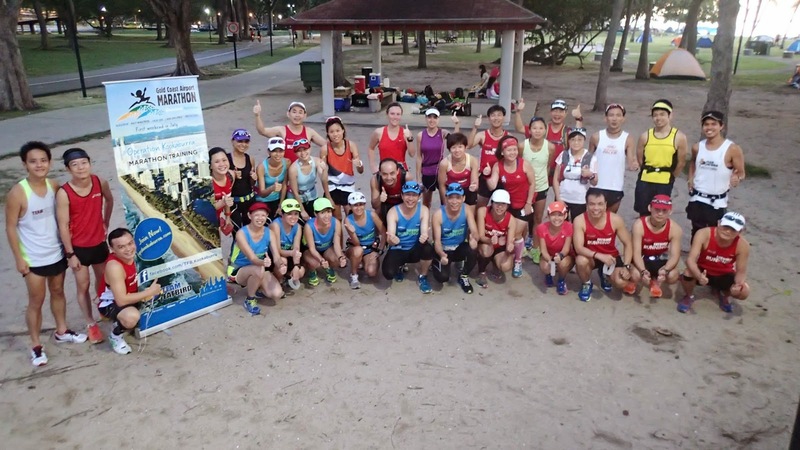 There were lots of excited chatter about the upcoming pre-departure briefing for the trip down under, as well as tips and advice given by the experienced GCAM Pacers on what to expect and how to prepare for the race. 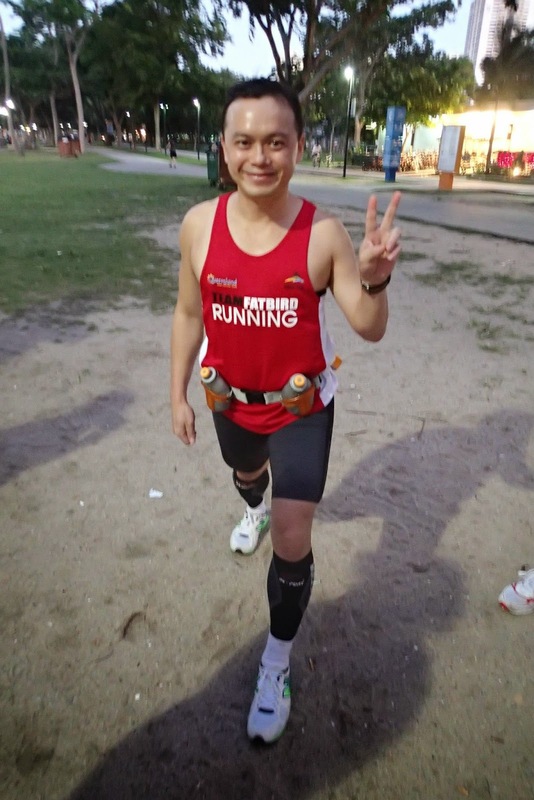 In spite of earlier forecast of showers, the sun was shining brightly, giving the runners some additional challenge on top of the new pace to sustain. 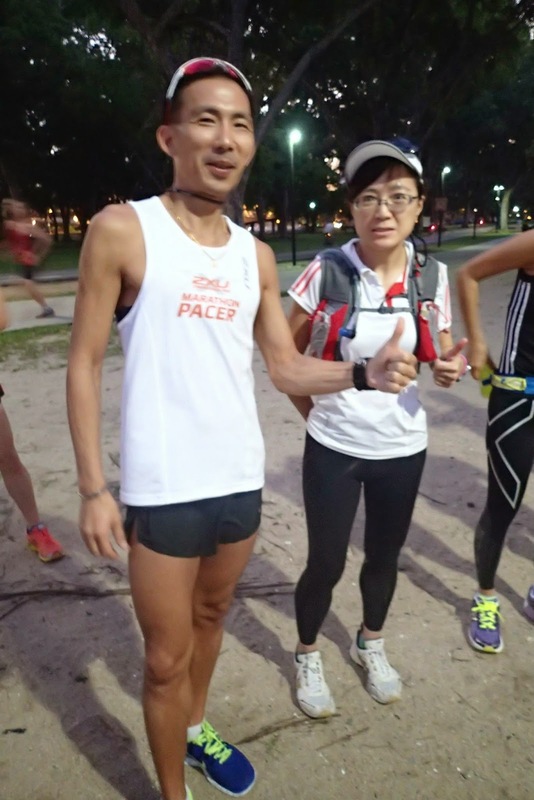 Although they have just completed a 21km or 42km last weekend, most of the runners were able to run well with the new pace for at least 21km back to the start point @ C4 Car Park. About half of the Kookaburras went on to complete another 5km-14km for total distances of 25km-35km, looking strong in spite of the overbearing heat. The smiles on the faces told of a highly motivated flock of Kookaburras, all feeling strong and ready for a good outing at what for many of them would be a first at the GCAM. 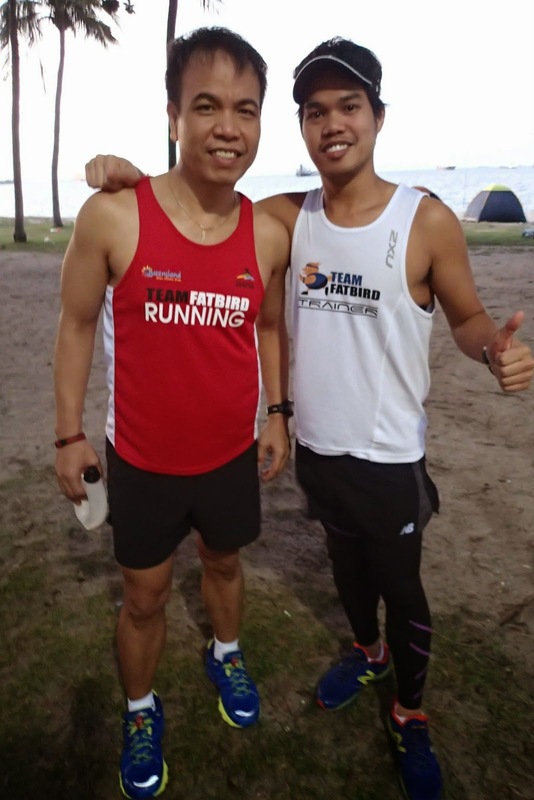 With this run, Ops Kookaburra would enter into the tapering phase with three more weekend runs of 30km, 28km and then 18km before we depart for the Gold Coast in the first week of July. Many of them will be proudly donning the red race vest that was specially given to participants who have gone through the Ops Kookaburra training journey. 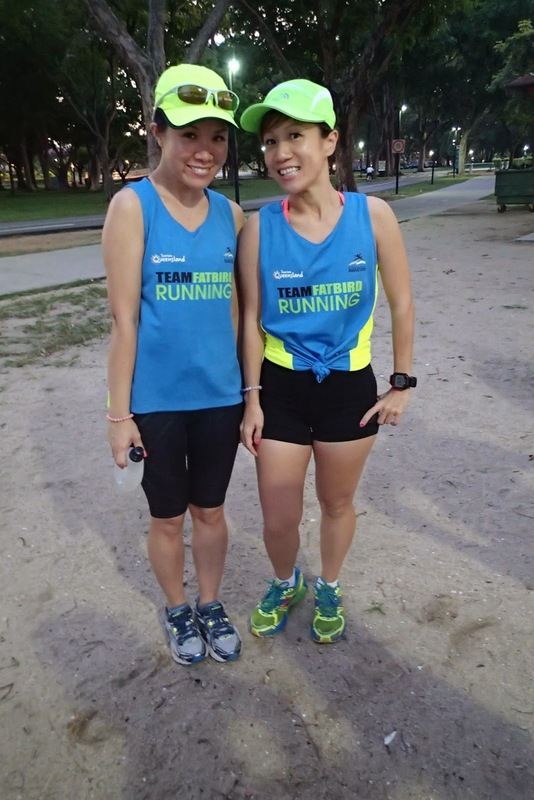 From the experience of previous flocks of Kookaburras, our marathoners who have trained in the highly humid and hotter weather in Singapore have shown to be able to sustain paces of 15s-30s faster per km in the cooler and more comfortable GCAM weather. 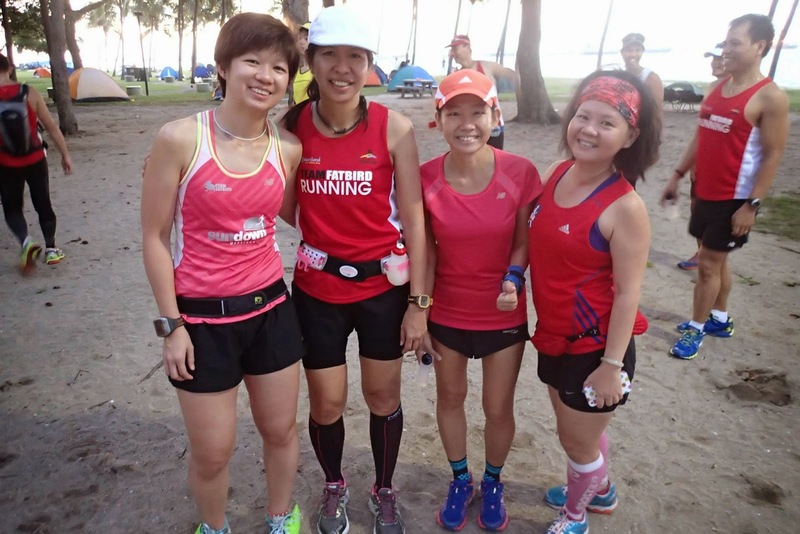 This would be sweet music for many of our trainees and Team Singapore marathoners, who would be looking forward to running good times and Personal Bests in the weekend of 6 July.